What is the Child and Family Counseling Center? The Child and Family Counseling Center was the first agency program. Its mission is to provide clinical services to any child or family in the community at an affordable cost. Funded in part by the United Way, The Child and Family Counseling Center offers services to children including treatment and prevention of temper tantrums, oppositional behavior, school problems, anxiety, depression, as well as guidance in dealing with issues of grief or loss, social skills, and reactions to separation and divorce. What types of counseling are offered? The Child and Family Counseling Center offers professional expertise in many areas: Solution focused Therapy, Depression, Marital Therapy, Separation and Divorce, Individual and Family Therapy, Play Therapy, Art Therapy, Psychological Screening, Anger Management and ADHD. The Child and Family Counseling Center continually provides training and education for its therapists by offering workshops featuring national and international trainers in the field of mental health and therapeutic services. All therapists are master level therapists and are required to have continuing education in an on going basis. 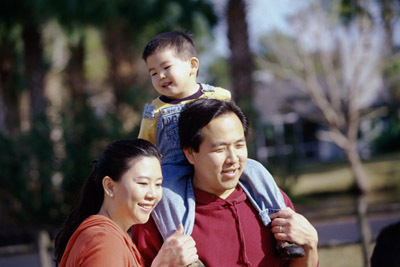 What services does The Child and Family Counseling Center offer to adults? The counseling staff of the Child and Family Counseling Center provides therapeutic services for adults dealing with depression, anxiety, family conflicts, marital/couple issues, step families, separation/divorce, job related stress, grief and loss, and mid life crisis issues. We are open Monday - Thursday from from 8:30 a.m. to 8:00 p.m.
How do I access services? Appointments can be set with the Intake Secretary by calling (225) 924-0123. Is there a fee? Per session fees are assessed on a sliding scale based on income, and may be paid by cash, Visa, MasterCard.